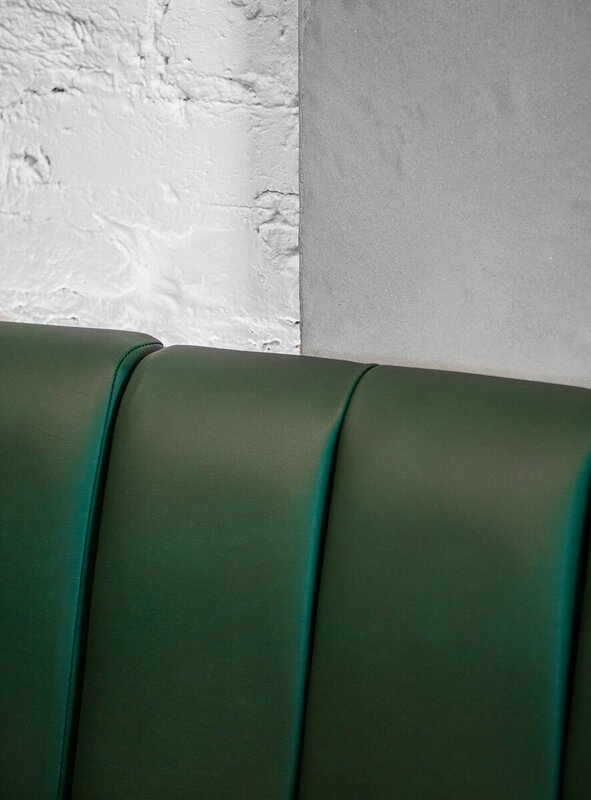 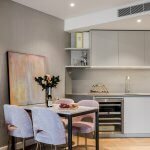 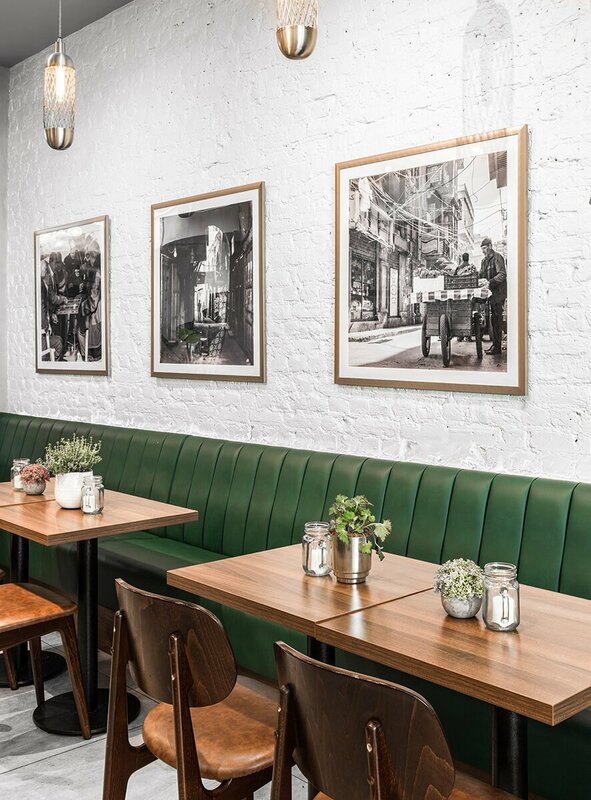 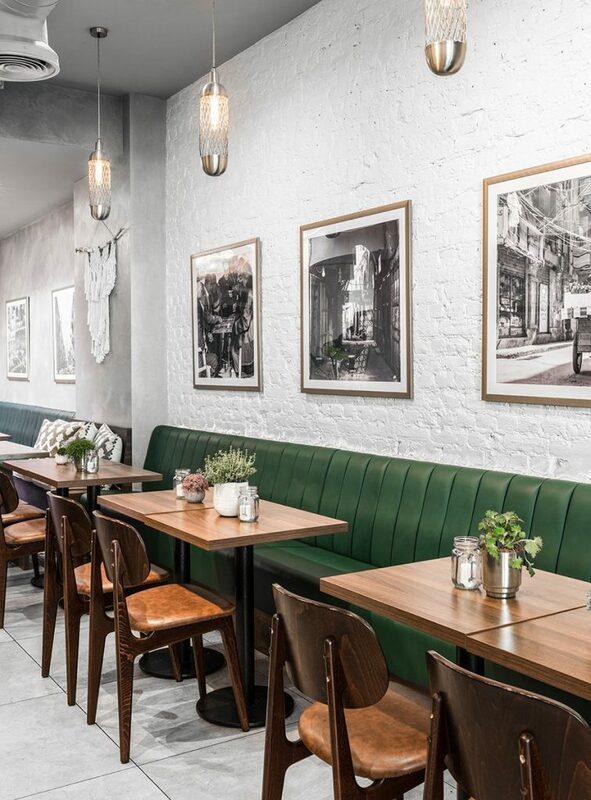 Temza completed commercial interior design package and full refurbishment for a large international restaurant chain’s London debut. 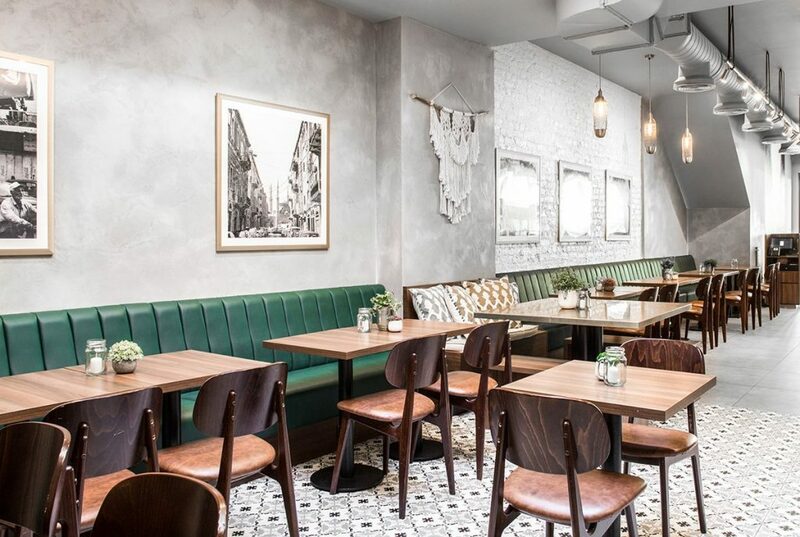 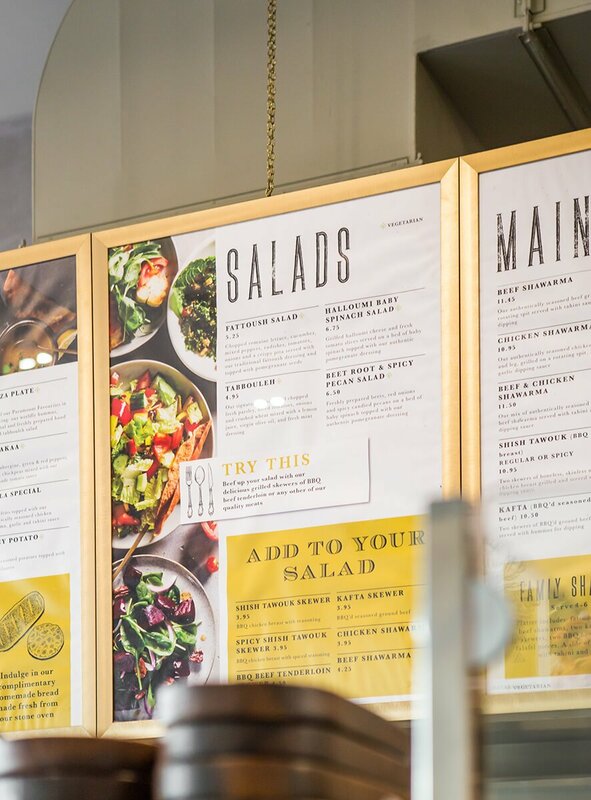 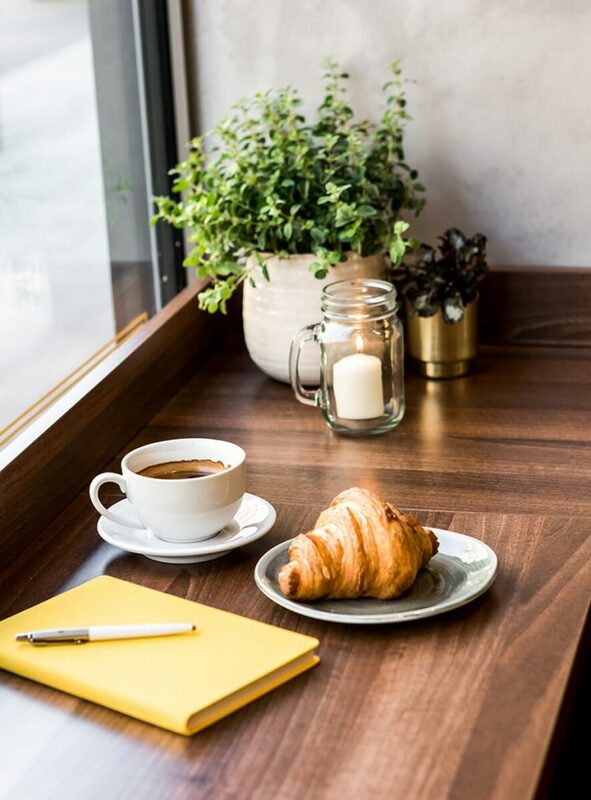 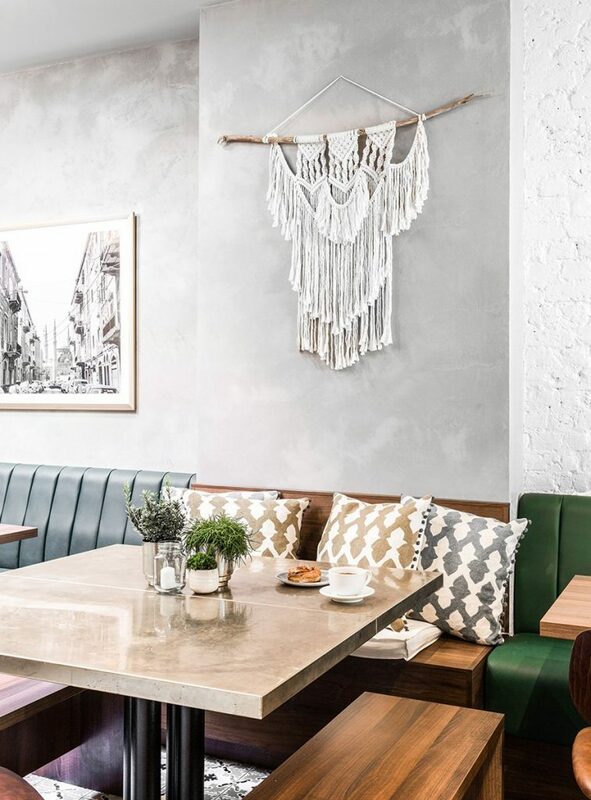 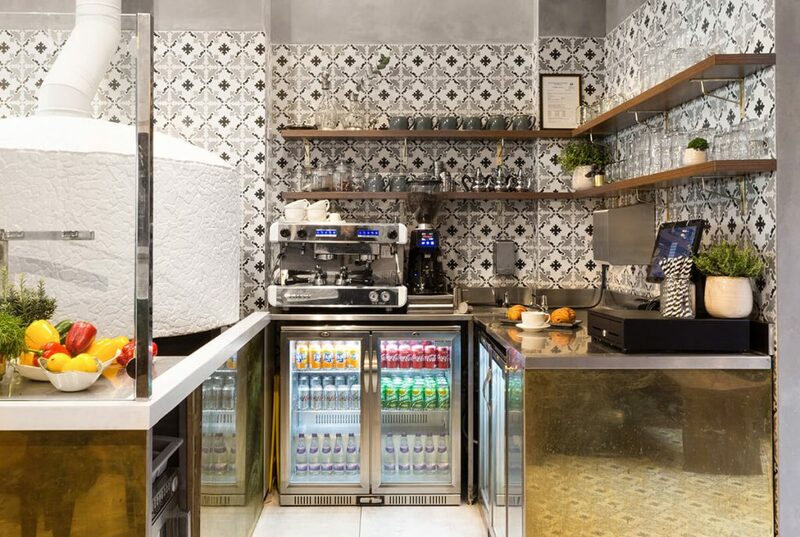 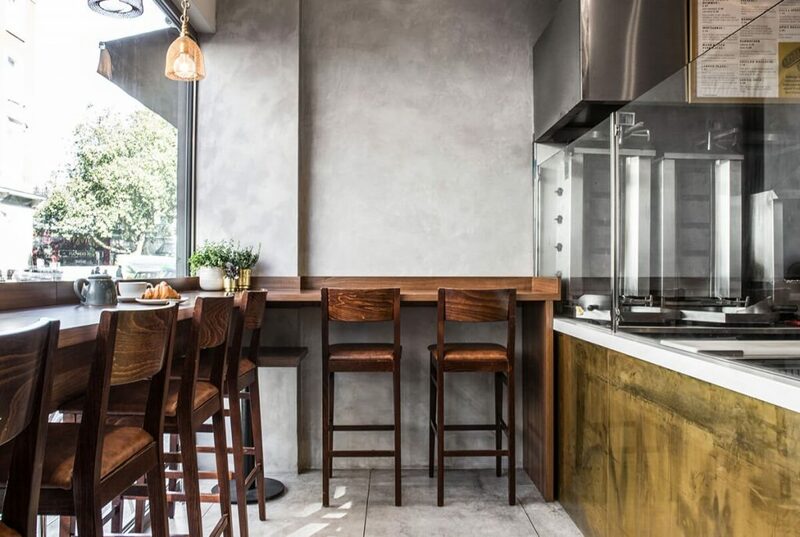 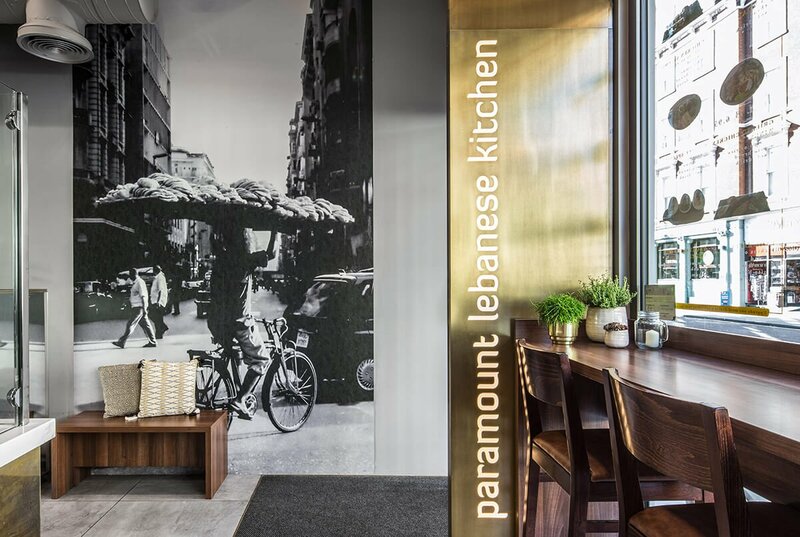 The client, Paramount Fine Foods is already recognised as the fastest growing Middle Eastern hospitality chain in North America, however their branding and interior conept needed to be updated to the London market to maximise their business potential. 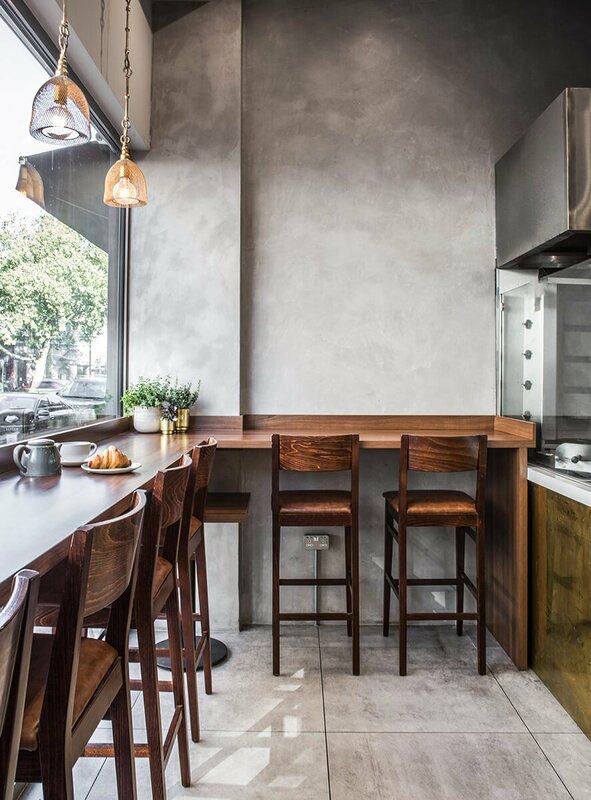 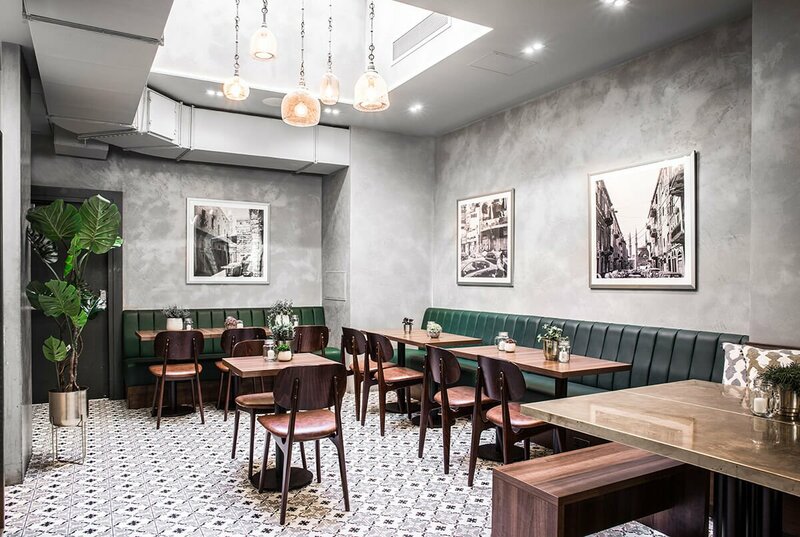 As with any restaurant design project, the two biggest considerations were the timing and the budget. 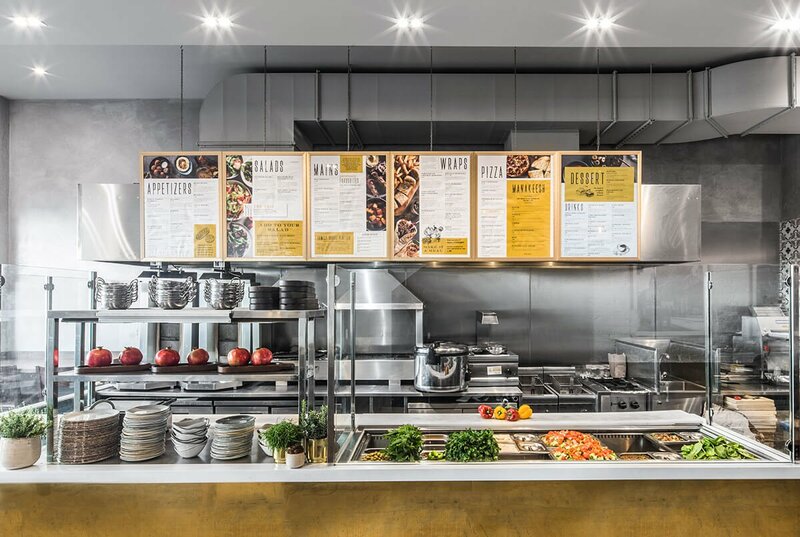 Due to our experience in managing fast paced projects, we completed the design and the fit-out stage paralelly, all within 12 weeks from comissioning. 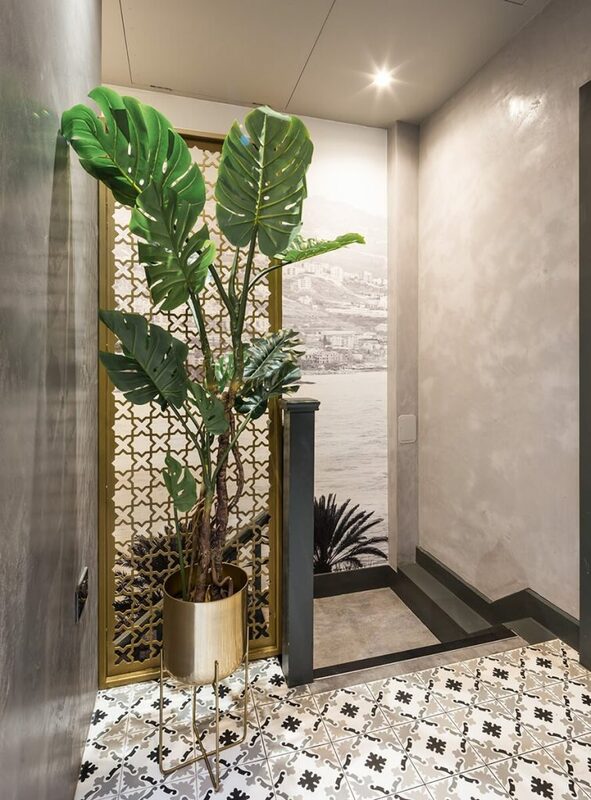 A careful balance of high impact feature elements, creative solutions and a keen eye to detail ensured that we kept to the client’s original budget throuhgout the whole process with no compromise of the initial design concept. 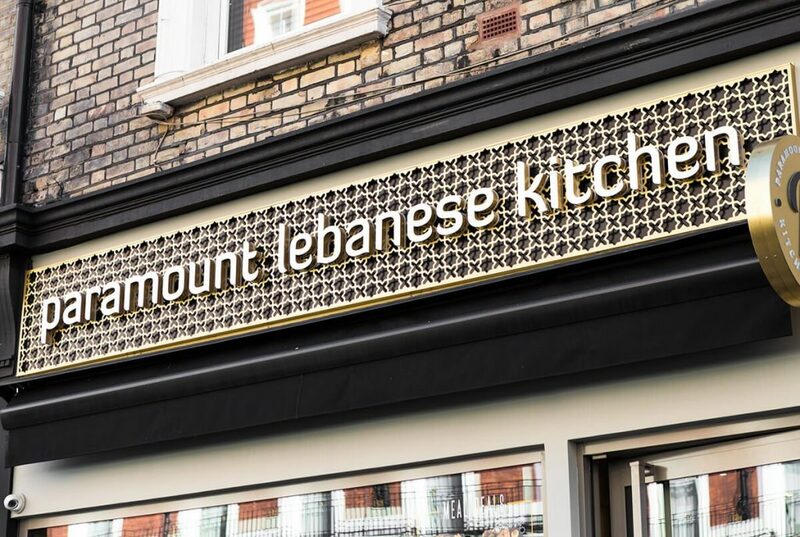 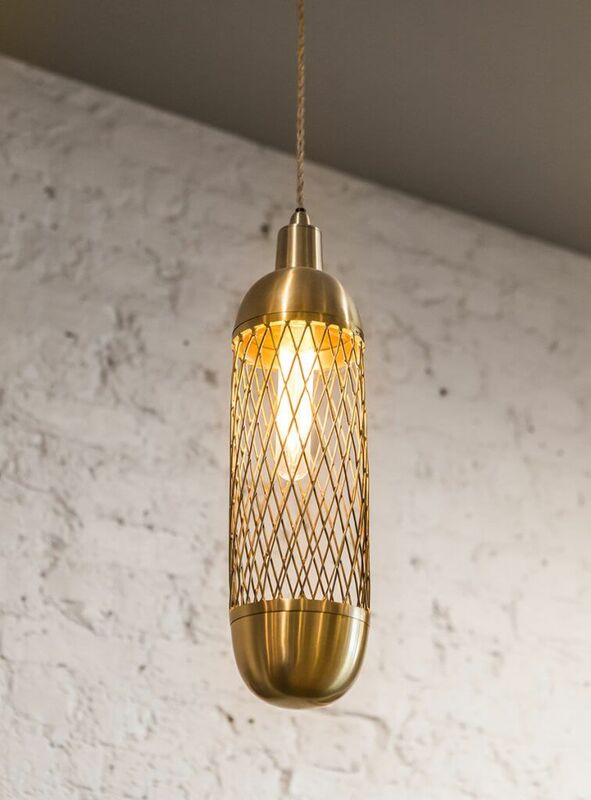 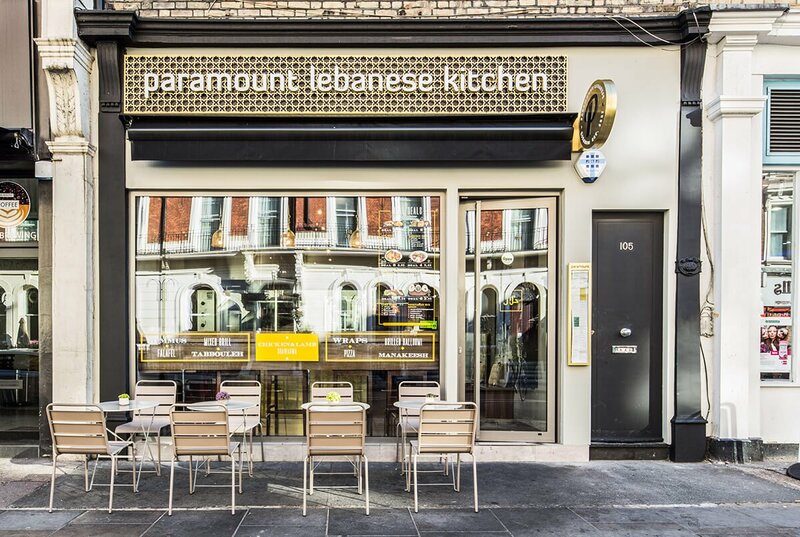 The design direction for Paramount Lebanese Kitchen was to create an environment that would seamlessly tie together both the heritage and food culture of Lebanon with the style and sophistication of London. 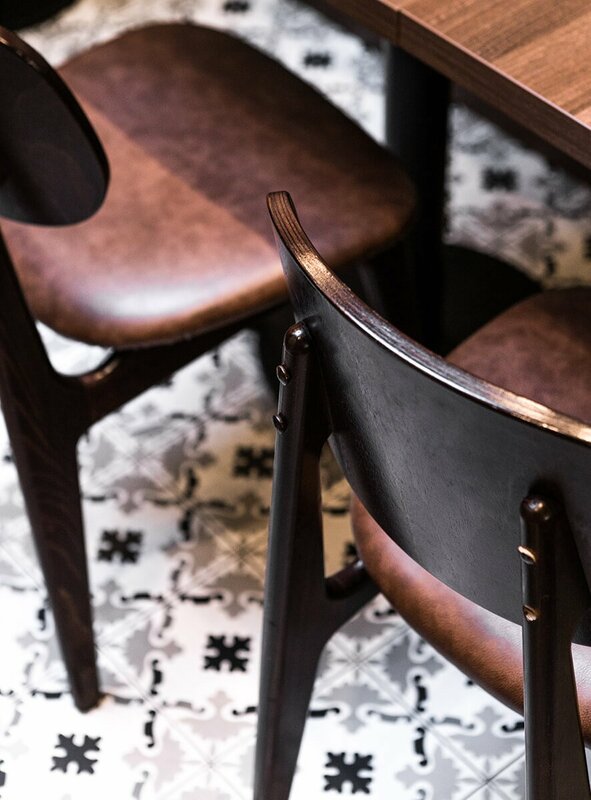 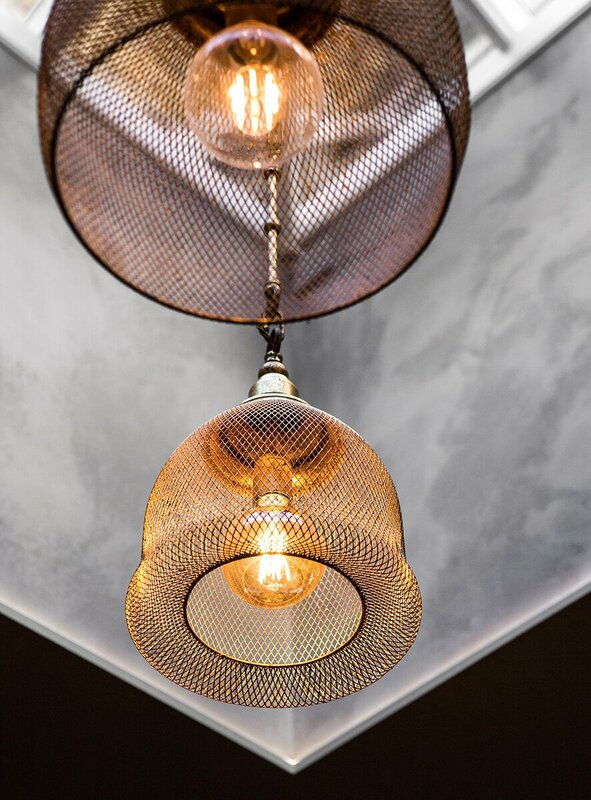 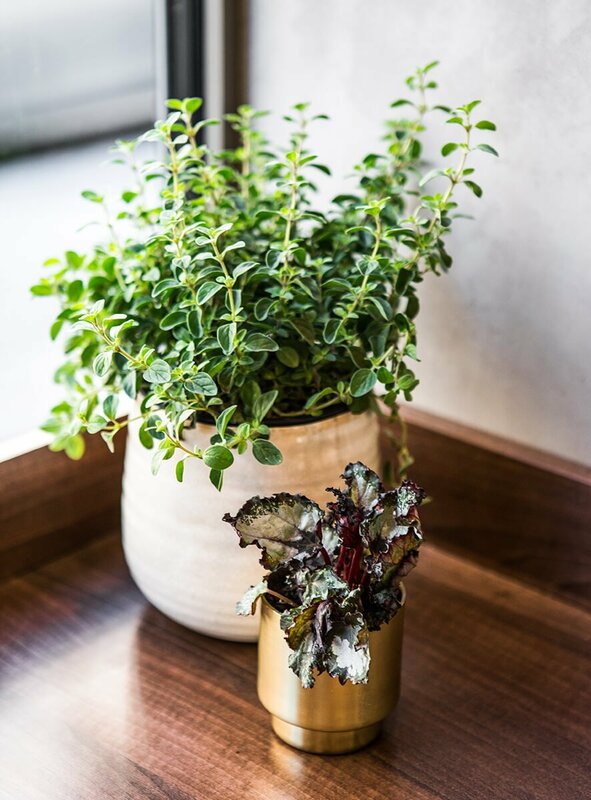 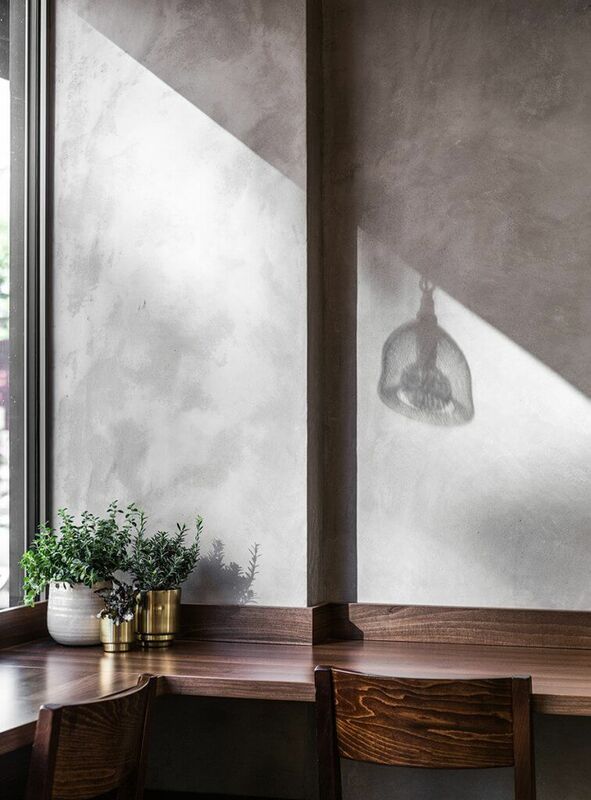 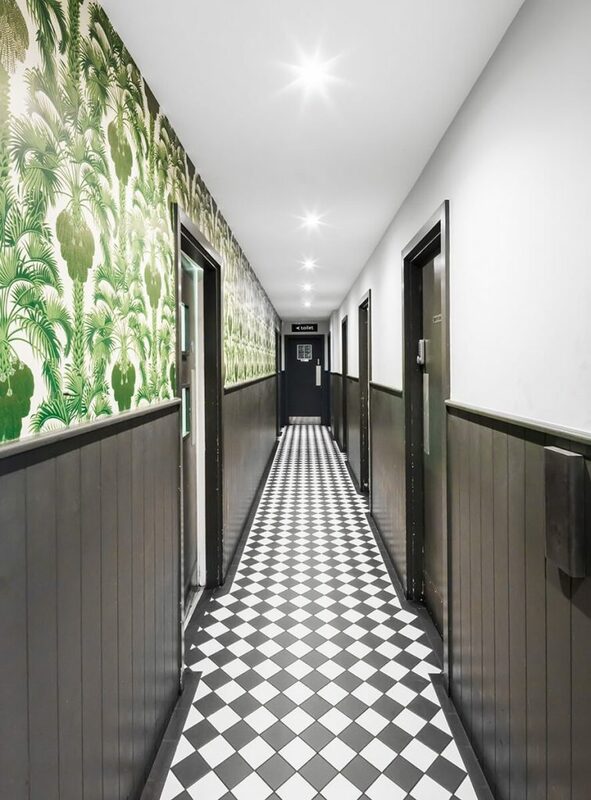 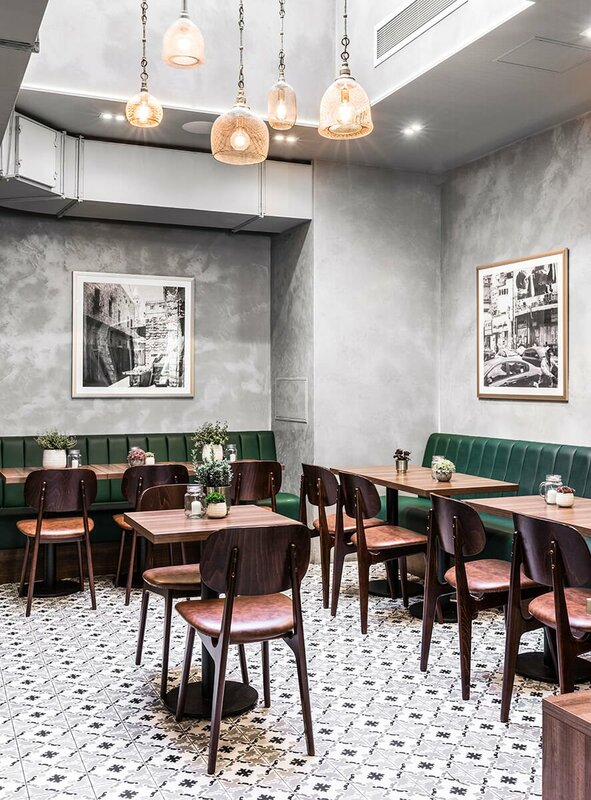 Using a muted colour palette with strong accent tones in green and brass elements, coupled with traditional patterns on the floor and wall tiles and tadelakt finish on the wall, we were able to create an authentic atmosphere within the restaurant. 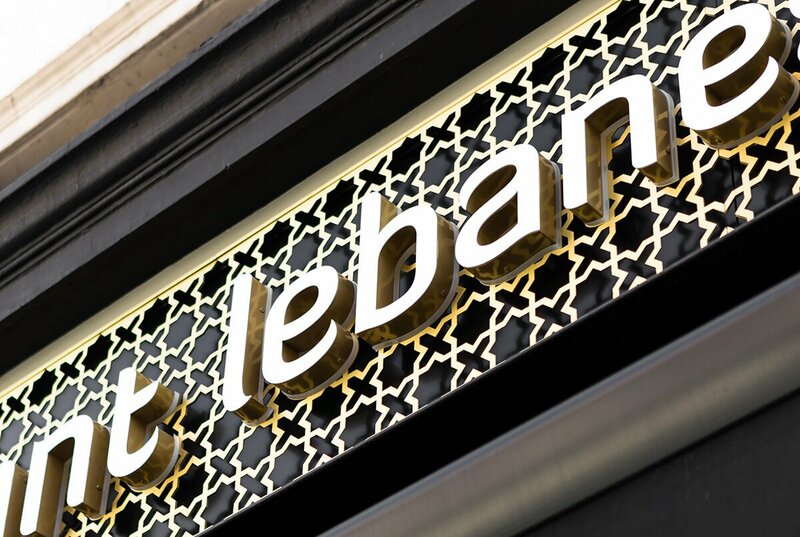 Reference to the local culture and heritage of Lebanon was developed through the carefully selected black and white artworks and bespoke murals.